With the recent development of the IR/DR primary certificate making a separate IR residency available in the near future, the University of Colorado Radiology Interest Group has set out to make student education about IR a prominent part of our activities. With that in mind, and under the leadership and sponsorship of Dr. Paul J. 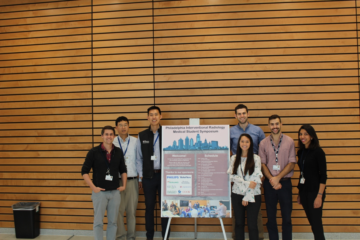 “P.J.” Rochon and the Department of Radiology, we held our first IR symposium this fall. Dr. Rochon developed the symposium agenda and recruited IR faculty, residents, and fellows to give lectures, direct workshops, and provide tours of the University of Colorado IR lab. Our interest group handled marketing and planning food for the event. The RIG at nearby Rocky Vista University got involved as well, bringing a number of RVU students and helping with event set-up. We started the day with an introduction to IR and its history from symposium leader Dr. Rochon. This was followed by short introductions to topics in IR by our distinguished faculty: Interventional Oncology by Dr. Thor Johnson; Biopsy and Drainages by Dr. Kimi Kondo, and IVC filters by our Chief of IR, Dr. Robert Ryu. We then broke from lectures for participation in workshops. 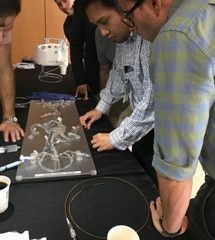 Thanks to the hard work of residents and fellows, we had workshops including artery catheterization using a an aortic glass model; stent and IVC filter deployment; and ultrasound/biopsy practice using “biopsy targets” buried in gelatin mold! There were also a wide variety of IR devices and technology for students to get their hands on. After the students rotated through the stations, we re-convened for another series of lectures. These started with a discussion of hepatobiliary IR with foremost expert Dr. Janette Durham, followed by an introduction to the possibilities of vascular IR by Dr. Rochon and finally, Dr. Ryu was preaching to the choir with a convincing talk on why to choose IR. After breaking for lunch and a reprise of any workshops students wanted to revisit or explore further, Dr. Kondo provided a concise overview of the new IR residency and prospects for the immediate future of IR training. 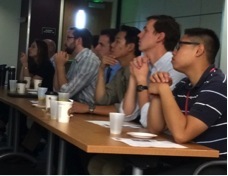 This was followed by a panel discussion by house-staff – from clinical pathway interns up to IR fellows. Students asked their burning questions, and benefited from the perspectives of doctors at all stages in IR training, including the numerous IR faculty in attendance. We wrapped up the day with a tour of the IR lab, which allowed for small group discussions with residents and faculty and a chance to see the tools of IR up close and personal. 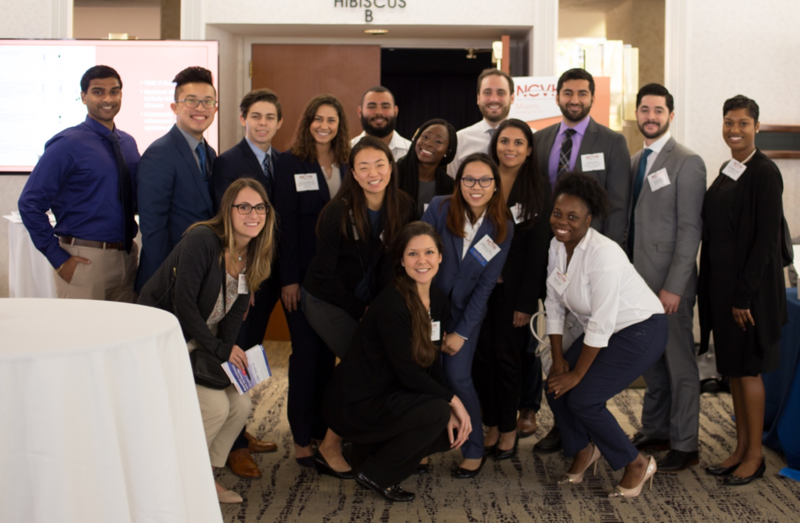 Post-symposium surveys confirmed a successful event, with the vast majority of students rating the event as 5/5 or “outstanding” and wanting only for more hands-on experiences. To the question of whether students would match directly into IR if possible, the answer was a resounding “Yes”! Special thanks to faculty presentors: Dr. P.J. Rochon, Dr. Thor Johnson, Dr. Kimi Kondo, Dr. Robert Ryu, Dr. Janette Durham. House-staff and fellows: Dr. Matthew Brown, Dr. Anthony Brown, Dr. Farres Ahmed, Dr. Dan Wells, Dr. Premal Trivedi, Dr. Kris Schramm, Dr. Muj Ali, IR PA Jamie Arton, Dr. Christopher Doe, and Dr. Kim Truong. Learn more about the IR residency program here. If interested in starting your own interventional radiology interest group, the SIR-RFS can help!